Wizards top Bucks, get back to .500. The Wizards got their fourth road win of the season Sunday afternoon in a matinee against the Bucks in a 107-101 victory. The Bucks were without Giannis Antetekounmpo who missed today’s game with an illness. Five Wizards players scored in double figures tonight led by Bradley Beal who was 8-9 from two-point range but 2-10 from three. Markieff Morris added 20 points and 10 rebounds as the Wizards got their 18th win of the season and are back at .500. The Bucks hit their first four three-pointers of the game to put the Wizards in an early hole. The Wizards had no answer for second-year player Malcolm Brogdon who scored 22 tonight and was hot from the get-go as the Bucks led 31-24 after one. The Wizards cut into the lead in the second quarter on a 7-0 run led by Kelly Oubre who hit a three off the bench and also had a nice dunk in transition. Scary moment for the Wizards as Bradley Beal stepped on Brogdon’s foot and looked to roll his tender ankle again. Beal looked like he was in a significant amount of pain but stayed in the game. The Wizards were careless with the ball committing 12 first-half turnovers leading to 16 points for the Bucks as they trailed 57-49 at halftime. Washington blew the Bucks out 33-21 in the third quarter behind more hot shooting from Oubre as well as a late three by McClellan as the Wizards led 82-78 entering the fourth quarter. Beal hit a nice step back three in transition as the Wizards ballooned the lead out to 9, 94-85. John Wall would hit three clutch jumpers down the stretch as the Wizards outlast the Bucks, 107-101. The Wiz have a chance to go above .500 for the first time this season against the Bulls Tuesday night. Kelly Oubre Jr. and Sheldon McClellan were the only two bench players who scored on Sunday. The duo combined for 25 points including four three-pointers. After a bit of a scoring slump, Oubre seems to have found a rhythm as he notched 17 points today. All of Oubre’s points either came from three-point range or at the hole. McClellan hit a three-pointer towards the end of the third quarter to stretch the Wizards lead out and then hit two key buckets in the fourth quarter. Contributions like these are welcomed as it looks like Jason Smith and Trey Burke have come back to earth. This was a much-needed road win against a team playing without it’s best player in Antetekounmpo. It’s no secret that the Wizards haven’t been so hot on the road this year so a win over the Bucks could pay dividends down the road should tie-breakers come into play. Otto Porter didn’t have a huge game but looked more like “Home Otto” especially early on in this game. The Wizards almost let this slip away as they committed 19 turnovers. 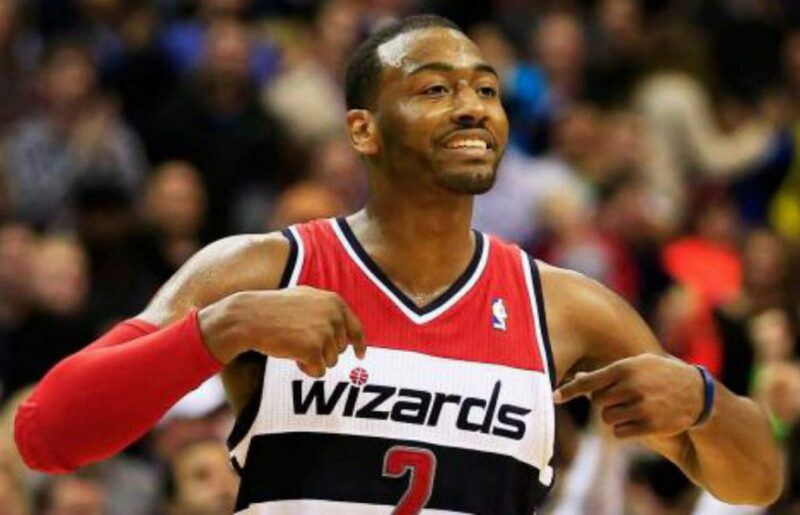 Previous postWall dishes out 18 assists as the Wizards get a much needed win. Next postThomas scores 20 in the fourth quarter as Celts drop Wiz, 117-108.